Labuan Bajo is witnessing a rising tide of travellers “who are pushing beyond the Eat Pray Love script of culture club Bali” and embracing the more adventurous call of the wild, according to C9 Hotelworks. 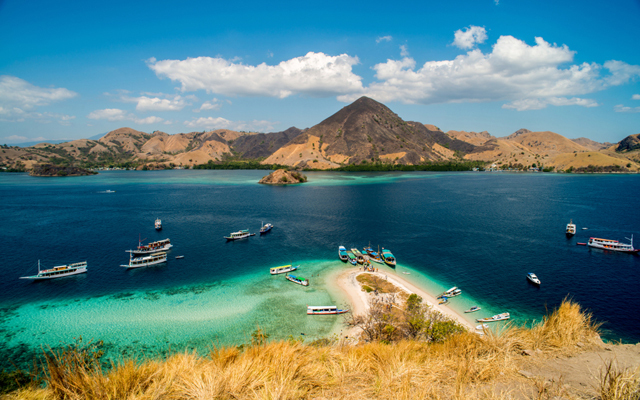 A gateway to Komodo Island and sanctuary of the namesake reptilian species, Labuan Bajo is seeing the accession of an entirely different giant. In 2017, year-on-year passenger arrivals grew by 24 per cent with nearly 218,000 arrivals. Currently expansion of the airport is underway and international direct flights are in the planning stages. Despite overseas visitors to the National Park accounting for 61 per cent of traffic, domestic travellers have remarkably doubled over the past two years. The rapid growth in tourism in Labuan Bajo, where there are just over 1,000 accommodation units, has spurred a hotel development groundswell, with more than 650 rooms in the pipeline. Setting the tone for a new marketplace is the recent entry of the first five-star luxury resort, the 205-room Ayana Komodo which opened in September. International brands are entering the fray for the first time, with a Marriott branded hotel, and properties under familiar names such as AccorHotels and Alila coming. Despite the growth of impending entry of big box hotels, a growing number of tourists are seeking out non-traditional experiences. One case in point is the Le Pirate Group, who has seen some success in its waterborne Boatel offering and an “off the grid” Pirate Island getaway. Meanwhile another upshot trend is modernised traditional Indonesian phinisi sailing boats, which are capturing the imagination of upscale travellers.